This oversized rollerball pen from Visconti's Medici collection as inspired ty the Florentine family. 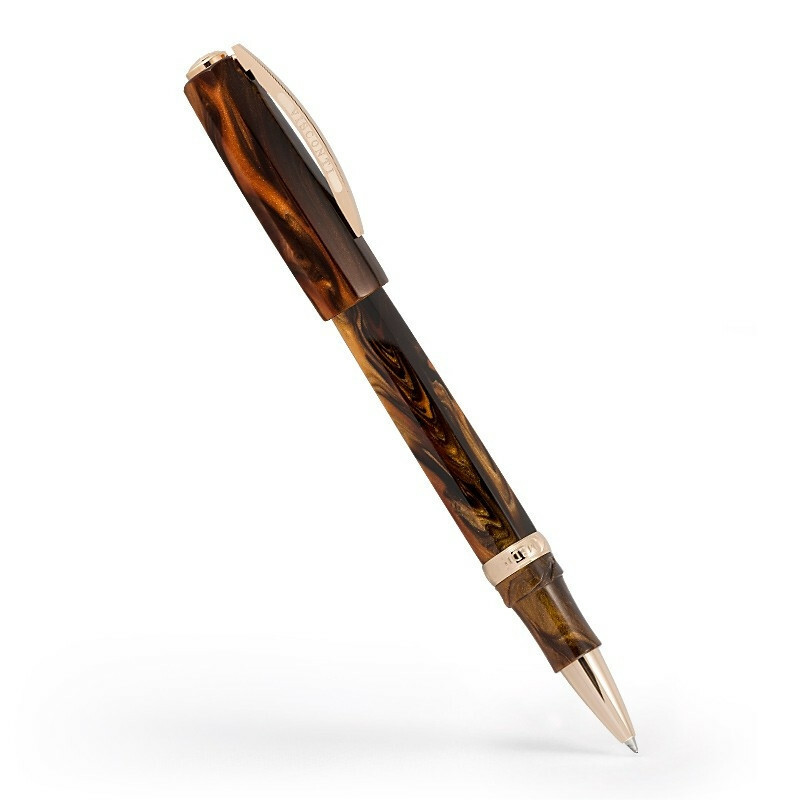 Crafted in a material that combines acrylic resin and silk fibers, the fine writing instrument has a glossy, luminescent color reminiscent of wood with rose gold and palladium-coated trim. The ring of the pend is chiseled with a symbol of the Medici family, and the amazing accessory has a hood safe lock on the cap. This Visconti pen, like the individuals for which it was named, is destined to be an iconic part of history.